Bangkok, Thailand, is a city with many interesting wats, or temples, palaces and occasionally a home of historical significance, many of which I see often and have visited as I’ve lived here in Bangkok for several years. 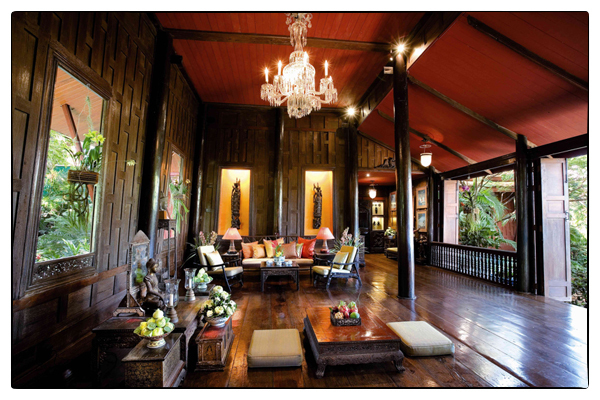 The Jim Thompson house is a fine example of the latter. Located along the Klong Maha Nag (or Maha Nag Canal), the home’s proximity to the waterway provided the original owner, Jim Thompson, easy access to the traditional Thai silk weavers and various traders with whom he would build his Thai silk empire. Silk has been important in Thailand since at least the mid-first millennium BCE since silk thread impressions were found at Ban Na Di  ; some even claim silk goes back 3,000 years from silk thread finds at Ban Chiang. Not only for his championing of Thailand’s silk revival but also justifiable by itself, Thompson’s historic home deserves closer examination, as it remains one of the architectural treasures of Bangkok. The strange circumstances involving Thompson’s disappearance while visiting friends over the Easter holiday in the Cameroon Highlands of Malaysia in 1967 is an enduring mystery to this day. 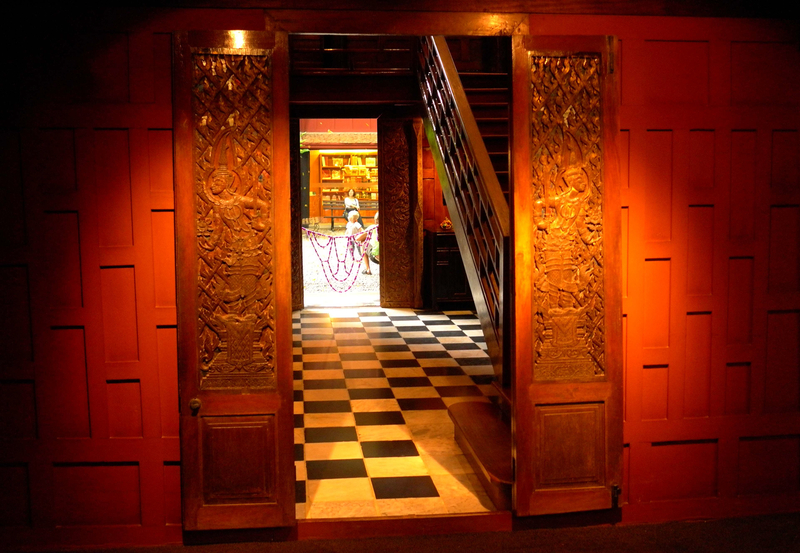 It forms part of the lasting legacy of the Jim Thompson house that continues to captivate visitors . The house is open to the public for viewing and has been left exactly as it was when Thompson left Bangkok on his fateful trip to Malaysia. It is a true testimony to his fine taste as an architect and designer that his collection of furnishings and antiques are still considered to be among the finest in all of Bangkok. Since, like many other Asian countries, there is not a precedent for saving and restoring buildings that hold historical value, Thompson has largely been credited with starting the trend in the 1950s . It can be argued that the traditional Thai style home which sits on stilts, with an open plan and wide verandah is in line with the famous Le Corbsuier quote “the house is a machine for living” in his vision for 20th century Modern domestic architecture . Thompson graduated from Princeton University in 1928 and studied architecture at the University of Pennsylvania, later moving to practice his craft in New York City where his designs for traditional country home estates were popular among East Coast residents . However, what brought Jim to Bangkok had nothing to do with his background in architecture and design. After serving time in the U.S. Army as part of the OSS during World War II in Europe, Thompson was assigned to a covert mission in Southeast Asia . In a dramatic turn, that operation ended as he was being flown into the region as part of the OSS team assigned to retake Thailand from the Japanese. With the surrender documents signed, and the war behind him, Jim decided to stay on to build a new life and future in the provincial and exotic lands of the Far East. Whether he did so while maintaining his connections to the OSS and CIA is as yet still unknown. At the time of his disappearance there was speculation that his ties to the CIA were not severed after the war and he may have been leading a double-life as Thai silk merchant and spy. This may have contributed to the mysterious circumstances surrounding his trip into the Malaysian jungle after which he was never seen again . The casual visitor to the Jim Thompson House has visual access to some of the highlights of Thai art and traditional Thai building style. The main house is situated parallel to the klong and built above ground on wooden stilts in the manner of traditional domestic Thai architecture. In 1959 Thompson bought several old homes outside Bangkok. He had them transported to the city and reassembled them into one large home by removing and/or converting the walls and exterior corridors . Different building materials used in parts of the home date back to the 17th and 19th centuries , and finding workmen trained in the building and repair of such old homes in Bangkok was a challenge in the mid-twentieth century . Shuttered windows that once faced out were turned inward and made into silk- covered, electricity lit niches to showcase particular works of art. The central section of the home was positioned so that Thompson and his daily assortment of new and old friends who joined him for drinks and dinners would do so while overlooking or sitting upon a terrace above the klong. At the time the house was originally conceived, the klong provided a major thoroughfare through the heart of central Bangkok and all manner of boats and people could be seen passing by. It would be akin to sitting at a café in a large urban space and watching the world pass by in our modern world, but in Thompson’s case, from the comfort of a living room or outdoor terrace. 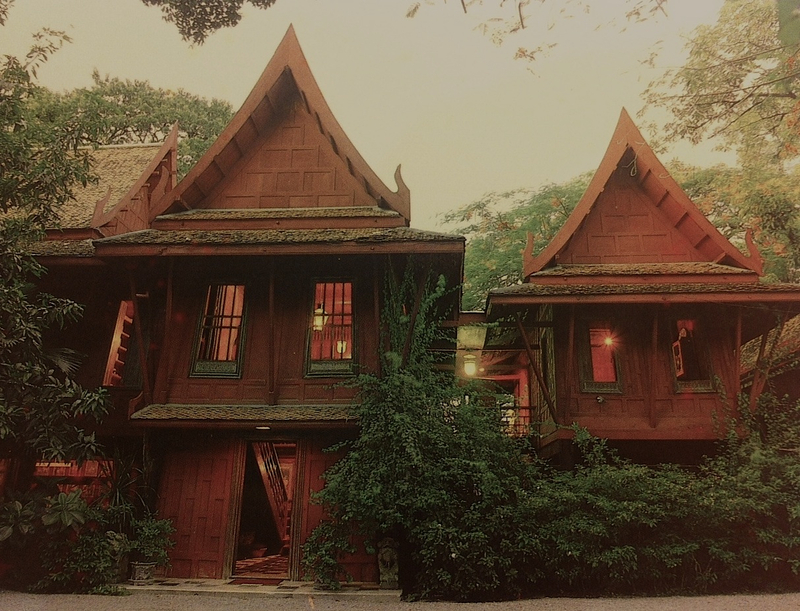 Thompson’s decision to use and adapt traditional Thai wooden houses and structures to Western levels of comfort was a part of his desire to preserve what he saw quickly disappearing as Bangkok adapted to Western forms of architecture and design in the post-war era. Traditional Thai residential forms include intricately carved bargeboards, roof finials, pediments and hipped and gabled roofs. Walls, doors and window jambs provide residents with another means of showing ornamentation and wealth. The windows in Thompson’s drawing room are beautiful examples of the ornamental yong, or piece of carved wood found along the base of a window opening . By connecting several individual homes together and enlarging their terraces and walkways, Thompson was able to create generous open dining, formal living and private rooms. This part of the house dates from the 1800s and came from across the klong in a neighborhood called Bangkrua . 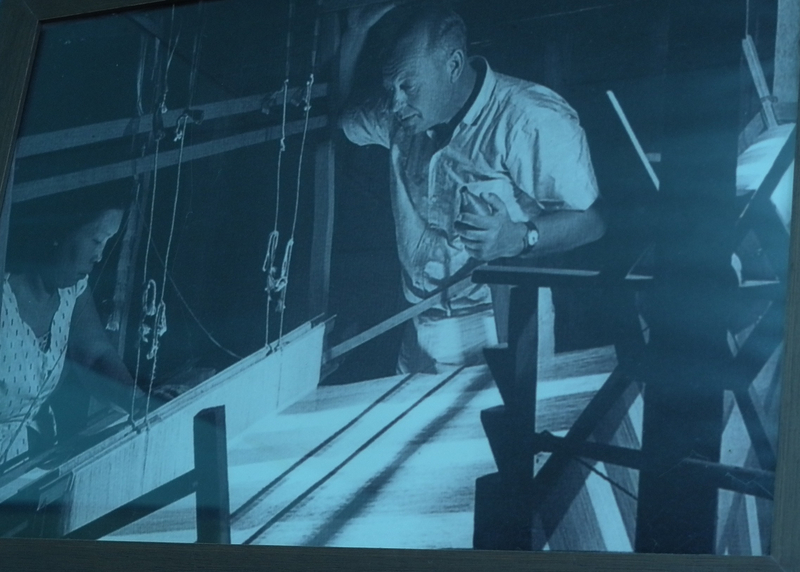 The main part of the home even features a wing made from an attached house that served as Thompson’s personal home office and his bedroom and bathroom, with running water and electricity, a modern modification to the original Thai house. 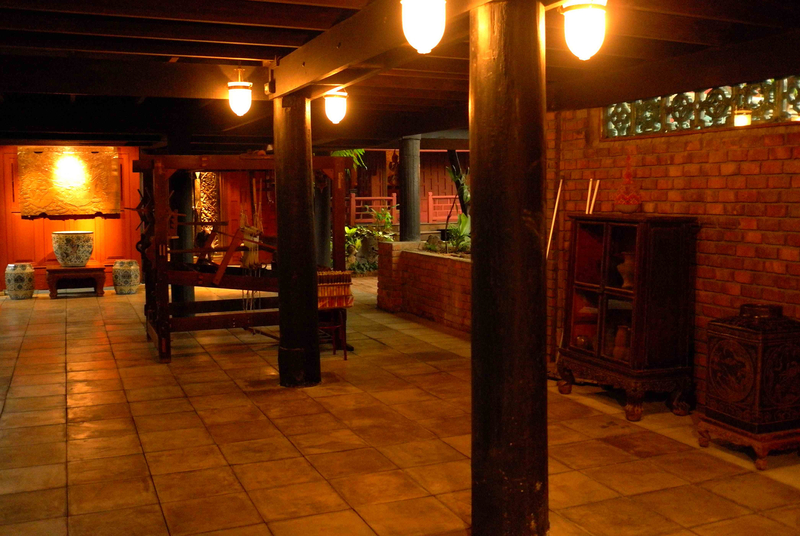 The antique furnishings Thompson discovered in Bangkok’s Chinatown are another unique feature of the home. It is rare to find such a fine collection of antique Chinese porcelain, paintings, sculpture and different Thai and Chinese antiques outside of royal collections or the National Museum. His home includes an assortment of reclaimed tiles, chandeliers, fixtures and furnishings from old Bangkok residences that were demolished and replaced with modern concrete structures in the mid-twentieth century. The floor of the entry hall staircase is made of vintage black and white Italian marble tiles which came from a 19th century Bangkok palace. They are a prime example of how Thompson managed to weave salvaged and discarded pieces into his masterpiece of design. This was a thoroughly novel concept in southeast Asia in the mid-twentieth century. Today, using reclaimed and salvaged items has become a trendy feature in many top boutique hotels and restaurants across Bangkok. Once again, Thompson was ahead of his time and proves his seemingly effortless ability to create design chic out of the most humble of objets. “I have elected to make Thailand my permanent home, and as I live here and am very interested in the artistic heritage of the country, I have tried to build up as fine a collection as I can to leave to this country. I know that the museum does not have funds to buy many of the fine pieces that turn up, and rather than see them leave the country, I have tried to buy the really exceptional ones to keep them here. I have paid very high prices for many of them, but I know that if I did not, they might have gone for good. I hope that you will believe that I am deeply interested in the archaeology and preservation of the beautiful things of this country, and I am not making a collection for financial advantages or selfish purposes. As much, or perhaps even more, than well-known Thai collections, this house and its contents will belong to the Siamese people since I have already willed it to them by way of the Siam Society” . The Siam Society today remains a group of Thai and foreign historians and antiquarians whose mission is to preserve the history and architecture of Thailand. Fortunately for visitors, the majority of Thompson’s collection remains intact and in situ, exactly as it was when he was living in the house. We know that Thompson was an avid gardener; his father was Chairman of Princeton’s Grounds and Building Committee and his mother worked on the restoration of an historic town in Delaware . In his Bangkok garden Jim achieved a tropical paradise, with trees and shrubs creeping through the paths and between the buildings of his residence, giving the city visitor today a sense of what an outing in the jungle might feel like. We know Jim was an avid hiker and he often planned treks into the jungle forests just a few hours drive from Bangkok. This may have been the reason why he decided against planting a large grass lawn in the terrace at the rear of the house as was originally conceived in the plan he sent to his sister in the US . Instead, he opted for a garden much more in keeping with the climate and jungle environment he so enjoyed. Even today the visitor to the home gets a feel for his taste of the exotic flora he found so captivating filling every inch of the garden space. 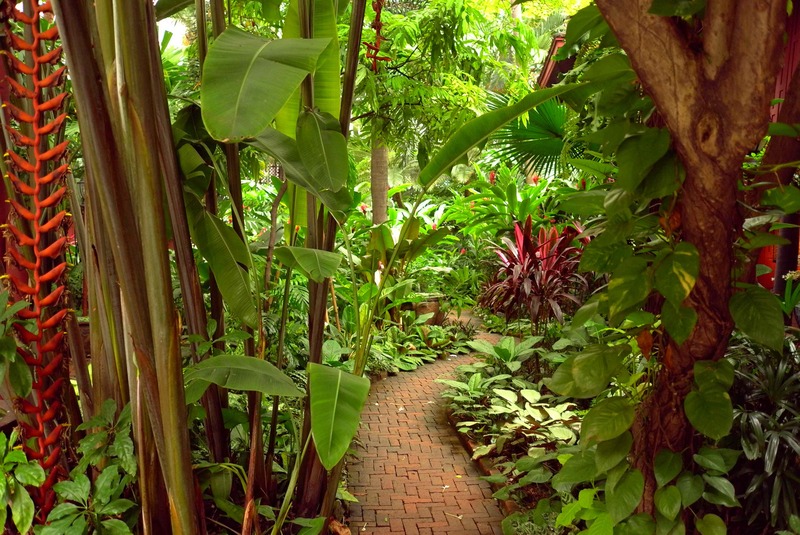 Among the plants one finds are scented frangipani, red ginger, rubber plants (ficus elastica), various palms of all shapes and sizes, flowering banana plants and other tropical varietals providing contrasting heights, shades of green and flashes of bright color . The garden provides a fitting backdrop to the traditional Thai buildings that surround it. Visitors are fortunate to view many of the rare art and ceramic pieces that are still on view at his house. 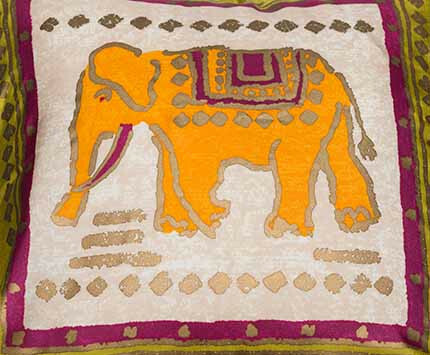 It is the combination of antique Thai artifacts, lovely hand loomed Thai silks and Western proportioned furniture that give the home an overall feeling of absolute timelessness. One can not leave the house without somehow feeling inspired to recreate a little piece of Thompson’s design taste in their own home . Nicholas Tarling, ed. The Cambridge History of Southeast Asia: From Early Times to 1500, vol. 1., part 1. Cambridge University Press, 2000, 119. Other homes of historic value in Bangkok include the M.R. Kukrit Pramoj Home, Suan Pakkad Palace, The Kamthieng House, The Bunnag Home and the Prasart Museum.